Harmonyum is a Divine healing science known as Bio-Metaphysical Medicine. While many, many healing systems exist, Harmonyum is an extraordinary healing science that is the total sum of the 22 Major Arcana in action. In other words, Harmonyum is the psycho-therapeutic application of Arcanal wisdom. Its power is the same as that of the force represented by the engraving on the rod of Moses. Harmonyum belongs to a chain of light. This chain of light is the lineage of those once worshipped in Atlantis and Ancient Egypt. During this period in human history, health was of the utmost importance. People with pristine power routinely accessed the astral body and spirit of the bones, known as the Body of Light, in order to heal the physical body without causing side effects. The spiritual healing science of Harmonyum is precise and mystically sophisticated. It cannot be taught. Rather, it is a transmission of a specific and healing spiritual seed, passed on through the chain of light. Before a Harmonyum transmission can occur, however, the heavens must bestow its power. Today, there is one sole living master, as an extension of the invisible Community of Light, with the wisdom to transmit the science of Harmonyum, thereby bestowing it onto others so that it may grow, flourish and eventually manifest fully within the heart and soul, and turn one into a full servant of Light. The seed, held in the heart of the practitioner, contains initiatory power. It must be nurtured with a complete shift in outlook and a single-minded devotion to Divine Union. This is attained by invoking the blessing and support of the Lord of the Universe and the support of the invisible Egregore of Lumen de Lumine through consistent prayer, meditation and service. By nurturing the Harmonyum seed through the cultivation of certain major virtues, all spiritual centers are brought into full activity. In fact, they are automatically brought into the necessary radiatory condition far faster by right thinking, right feeling and right action than by meditation or concentration on the internal menorah. While these virtues may seem mundane, they are the most potent and effective at nurturing the Harmonyum seed and bringing the centers into their optimal potential of expression. When the task is done, and when all the centers are living spheres of outgoing, healing activity, they swing into each other's orbit. The Harmonyum practitioner then becomes a center of living light, rather than a composite of seven radiant centers. As the seed grows and blossoms to bear healing leaves, flowers and fruits, the practitioner is blessed with an ever increasing capacity to heal through Harmonyum. Understand that the healing spiritual seed and the tree hold the same nature, as do the fruits. Indeed, as the fruits ripen, they gain the same taste as the original, seed-bearing fruit. Thus, a single seed creates a vast number of heart opening off-spring, which, in turn, create a vast number of leaves, flowers, fruits and trees. This is how the circle of light continues to expand. The transmission of the Harmonyum seed is the beginning of a new consciousness within, which manifests as an internal light that dispels all darkness. It is accompanied by an influx of forces that we can direct toward healing and serving others. In so doing, we contribute to the edification and construction of the Kingdom of God here on earth. Harmonyum is dedicated to teaching the Divine Spiritual Wisdom and spreading Love, Peace and Light throughout the world. It brings us balance and reason as a means of merging with truth. Those who receive the seed of Harmonyum and nurture it realize that there is nothing but Truth. Everything is Truth and everything leads to Truth. In coming to this realization, they are overcome by a sea of Love, Wisdom and Truth, for working with this seed allows the individual to re-connect with internal archetypes, as well as the Divine that lives both within and without. Those who are in the truth will be perfect when all the truth is revealed. If you know the truth, the truth will make you free. Ignorance enslaves; knowledge brings freedom. When we recognize the truth we shall find the fruits of the truth in our hearts. If we unite with it, it will bring our fulfillment. Moreover, the seed of Light planted in the heart of the practitioner by the Harmonyum Master is a perpetual one. In other words, it will remain intact throughout many incarnations, growing ever stronger as the individual rediscovers his/her psychic abilities with each new life cycle. Again, during challenging periods in history, the heavens choose an initiate to whom the healing method is revealed. That person is someone who has been spiritually prepared throughout many incarnations and is fitted to carry the Heavenly Crown of Harmonyum. That initiate represents the true teachings of the Harmonyum School in the upper world. During a Harmonyum workshop, a subtle, unseen energy is transmitted from the Master to each participant. The aura of the Master of Harmonyum is of such a vast, magnetic nature that it has a beneficent effect wherever and whenever it touches people. 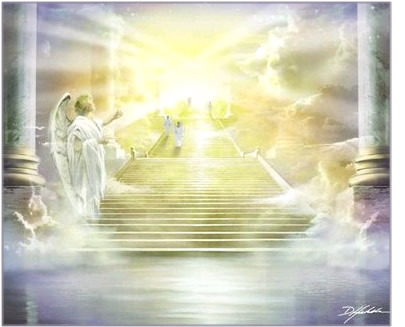 In other words, the presence of the Christic Force over the Master’s aura, supported by the Lumen de Lumine Egregore, is such that it can be directed to heal and uplift through his very presence. Because of its incredible potency of attraction and stability, the aura of the Master not only helps to transmit the Harmonyum seed, but it also holds the group energy together. This beneficial sphere of radiance can easily be felt and/or experienced by those who seek it out and watch its positive effects. In its practice, Harmonyum is dedicated to bringing Light to the individual by opening up the body through a variety of simple, yet Divine motions. These Divine movements control simultaneous healing transformations on a larger scale. The simpler the movements, the more complete the transformation. Regular treatments begin a new cycle in time in which the individual is reincarnated into a new consciousness and a renewed body. As a result, continuous Harmonyum treatments give you lifetimes of wisdom and the effects of years of meditation, bringing you into a higher, more advanced cycle of manifestation. With each new Harmonyum Healing cycle, the experience gained during the previous cycle remains, resulting in a compounding healing effect. The spirit of the individual becomes one with the universal Spirit of All Life. The challenges of time and space are then met with an outpouring of the spirit, through the power and might of the internal Christic force. Harmonyum heals through the heat of Divine Love as it initiates a superior vibratory shift that causes the body, by its own virtue, to create a platform for self-healing. During treatment, potentially harmful energies are cleared from the aura while, at the same time, the recipient’s innate gifts are brought to the fore. Keep in mind that ideas that do not manifest remain unassimilated desires. As such, they accumulate in the mind, where they form mental toxins. Eventually, mental toxins create astral debris that have a negative impact on the mind, body and spirit. As a result, metabolic inefficiency sets in and the blood and tissues of the body become polluted. Indeed, the presence of toxins in the body is the primary reason that microbes develop into full blown disease. Emotional disturbances due to a lack of love affect the liver, blood and heart, while negative thinking affects the chest and wrong action affects digestion. Right thought, feeling, speech and action, along with the will to manifest our deepest, purest desires keeps the bodily systems, and the blood in particular, pure and clean so that disease is unable to flourish. With Harmonyum, optimal blood supply is restored to the vital organs, thereby removing toxins, initiating cellular rejuvenation and causing the glandular system to positively alter its secretions. In turn, youth and vitality are restored. Harmonyum works on your physical body through your spiritual body. It works on your emotions and thoughts. Harmonyum will heal your heart, make your mind clear and brighten your energy. Indeed, Harmonyum delivers the recipient to a state of indescribable healing by opening the channels of the body and expanding its healing light from the inside out. As the sunlight fluid circulates, it changes the molecular composition of the cells, transforming them into high-energy matter. 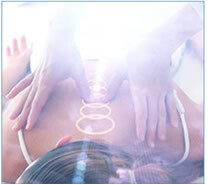 With each additional Harmonyum treatment, the body’s light progressively expands. Your aura becomes so large that in other dimensions your spiritual body exceeds the size of your human body. We exist on many levels; we not only have a physical presence in the material world, but we also affect the astral and divine worlds. We are primarily spiritual beings, and what we do, think, feel and believe creates a mark on the astral world as well as on the physical, thus the Hermetic axiom: “as above, so below and as below, so above,” which means that anything created on the astral world must manifest in the material world. Continue to Page 2 of Harmonyum and the Lineage of Light. Join us for a powerful three-day advanced Harmonyum III training weekend led by world renowned yogi, mystic and Universal Kabbalah master, Joseph Michael Levry. Open the universal panacea by learning the highest methods of healing, understanding the intricate union of the physical and spiritual bodies, and gaining true insight into the root cause of all chronic conditions. This healing application of Divine Spiritual Wisdom is an art and science that is for the infinite capacity of the heart. Harmonyum activates the seed atom of the soul with the Divine and Heavenly Fire so that its static condition can be transformed into one of kinetic activity, leading man to the transformation, rebirth and complete regeneration. Harmonyum works through the One in us. Through purity of heart, practitioners of Harmonyum are able to assist in profound and permanent healing by reestablishing the harmonious flow of Divine Love in the body. During the weekend you'll have the opportunity to experience hands on instruction, practice sessions and group meditation. This Harmonyum III training weekend features an expanded curriculum. As the healing science of Harmonyum is continuously evolving this training will allow students the opportunity to learn advanced Kabbalistic tools for healing, including the advanced form of the Harmonyum III technique. Students who have not yet taken Levels I & II are welcome to enroll in this training weekend and are encouraged to review our Recommendations for New Harmonyum Students by clicking here. This training weekend will be held at the Universal Force Healing Center in New York City. To register, please call (646) 291-6174 or email harmonyum@universalforceyoga.com.